Greetings trapshooters. I am your Ontario delegate. Let me explain what my responsibilities entail. A “delegate” is very similar in many respects to a “director” of a corporation. The corporation in this context is the Amateur Trapshooting Association (ATA) and delegates from States and Provinces meet (at least) once a year at our AGM to deal with ATA business. An Executive Committee is selected from among the delegates to manage ATA business throughout the year. As your delegate I advocate on issues that I believe would be best for our sport, the ATA and of course, Ontario shooters. 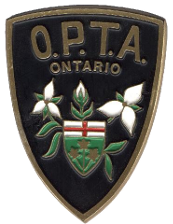 Ontario is within the Eastern Zone and our zone has historically had a significant amount of influence on ATA affairs and is, I believe, the zone with the greatest number of registered trapshooters. On your behalf I attend Eastern Zone meetings and provide Ontario’s input. I also attempt to share important information on a timely basis with the OPTA board. While your OPTA Board and my office have separate and distinct roles, we have a good working relationship. Together, we attempt to serve the best interests of the shooters of the province. It is also part of my mandate to see to the enforcement of ATA rules that come within my jurisdiction. Please take a moment to introduce yourself to me if we are at the same shoot. There are hundreds of shooters in our province and while I know or know of a great many I don’t know you all and would enjoy having a chat with you. As an aside, we have in Ontario an inventory of very talented shooters that can rival most States and Provinces. I will attempt to provide interesting and informative information for you from time to time on this website and hopefully details about the Delegate Team and Category Delegate Team races. I write a monthly article in Trap & Field magazine and try to cover areas of interest that appeal to shooters on both sides of the border. I can be reached at shaw@shawmclellan.ca, by phone at 705-445-1382 (office) or 705-445-6230 (home) or by fax at 705-445-7042. Paul’s monthly reports in Trap and Field are available here as PDF documents. Simply click on the following links. Note: you must have Adobe Reader to open these attachments. This software is free off the Internet – just click on the box immediately below.